Fans of Kevin Feige and the Marvel Cinematic Universe owe a lot to Anthony and Joe Russo. After all, this directing duo are responsible for some of the best Marvel films we have had: 'Captain America: The Winter Soldier', 'Captain America: Civil War', and the mind-blowingly successful 'Avengers: Infinity War'. It seems that the pair are well aware of their own value; during a talk with some fans, organised by Collider, the Russo brothers said that they were planning to take a break after the release of 'Avengers 4', unless Marvel allowed them to adapt 'Secret Wars', one of the the most major events within The House of Ideas' publications. Both Anthony and Joe seem to be adamant, as when they were asked what it would take to change their minds, Joe Russo responded, saying "only 'Secret Wars'". Joe continued, elaborating his reply, saying that it would be the only option for he had his brother: "I feel like the mission of the Marvel Universe is to keep expanding and surprising people. Surprise them with casting choices, surprise them with story choices. If we're moving into this world of crossover events, certainly that affords opportunity for other large-scale stories from the books like 'Secret War', which was another favourite comic of mine as a kid. There's big potential moving forward if the Fox/Disney deal closes". 'Secret Wars' was a turning point for Marvel in 1984, when the writers threw all of their characters in the same story, forcing the heroes of the universe to fight in Battleworld, a type of Roman gladiator match, organised by the powerful Beyonder. 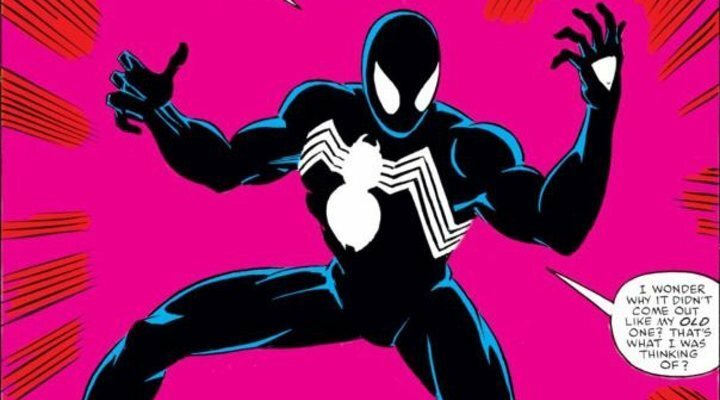 This event is one of the most iconic stories in all the Marvel comics, and is also the debut of the Spider-Man's black suit. The dedicated followers of Iron Man, Spider-Man, Captain America and co have been waiting for the trailer for 'Avengers 4' since April 27th, when 'Infinity War' came out, and they are starting to get impatient for this long-awaited trailer. But it seems that the directors aren't too bothered, and both are being equally stubborn about maintaining this secrecy, no matter what the cost. When the press began to get a bit too nosey for their liking, Joe Russo immediately started sounding the alarm.... Literally. But despite the humour in this, it is clear that the trailer is taking far too long to appear and everyone's expectations are starting to get a bit out of control; even Kevin Feige is starting to get concerned: "I've said before, it's gotten entirely out of hand. And now we have no chance to living up to any expectations of what it's gonna be. And it sort of backfired, if I'm honest with you, because the notion was to not talk about it so the focus was to be on [Infinity War]." 'Avengers 4' will be released on the 3rd May 2019. Let's hope that the trailer is released some time before then.